The closure of perforators is somewhat more specialized, and not all vein physicians perform this procedure. It requires a specialized catheter, the ClosureRFS Stylet, and is technically more difficult to learn. The ClosureRFS Stylet is the only intravascular ablation device cleared by the FDA for the treatment of perforator veins. In many patients, especially those with the worst disease, excellent results are very unlikely to be achieved without this. 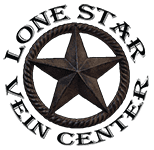 Normal perforating veins allow blood to flow from the superficial veins (like a highway service road near the skin) into the deep veins (like an expressway in the middle of the leg). Normal deep veins are like an expressway, and once blood arrives in them, it goes directly back up against gravity; through the kidneys where it is cleaned, next through the liver where it is cleaned some more, nutritional products are added, then through the lungs to be oxygenated, and finally to the heart where it is pumped back out to the body. When perforators fail (the one way check valves stop working normally), the blood from the deep system flows backwards into the superficial system. This is like diverting traffic off the expressway backwards down an on-ramp into oncoming traffic on the service road. This creates havoc, and defunctionalizes the deep veins (causes the deep vein expressway to stop working) and creates high pressure, throughout the leg. There is frequently very high localized pressure (almost like a faucet running). This causes many of the skin changes and most all ulcerations.